Newspaper digital ads provide a strong reach and reader responsiveness. Newspapers are struggling. Circulation and ad revenues are down. Some newspapers have stopped the presses or reduced their days of publication. 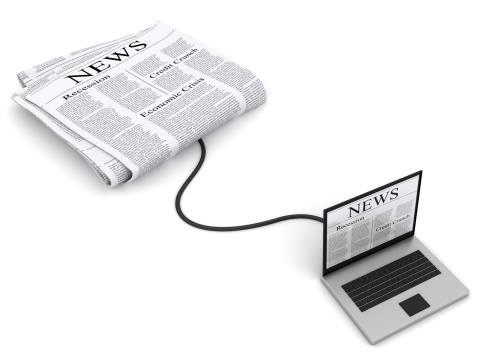 In response, and to adapt to changing consumers habits, newspapers have put an emphasis on digital content. And research indicates their efforts are delivering results. A study by Frank N Magid Associates commissioned by the Newspaper Association of America found from a survey of 2,518 online interviews among adults 18+, 60% have looked at an online version of a newspaper from a laptop or desktop. The study also found 25% has looked at a newspaper from a smartphone and 12% from a tablet. Considering the overlap, 67% of the respondents fell into one or more of the three categories. The original survey was followed by 1,179 online surveys and nine focus groups. The research also found that 66% of digital newspaper media consumers said they act on digital ads displayed with newspaper content. Additionally 61% of tablet users said they act on newspaper tablet ads and 59% of samrtphone users respond to ads. Erik Sass referenced the study and reported in MediaDailyNews that 65% of adults ages 18-34, have read a newspaper on a computer in the last week compared to 48% of adults 65+. And 41% of adults 18-34 read a newspaper on a smartphone, compared with 11% of adults 65+. This is good news for healthcare marketers it gives some confidence there is an audience for digital newspaper and those readers are responsive to online ads. This does not mean marketers can just take print ads and put them in a digital format. It will require new creative strategies. And digital ads also will allow click thrus and more interaction with consumers. The future of newspaper advertising will definitely be in digital formats and content. That too can be effective for healthcare marketers but will require different strategies and new creative approaches.